A pushchair that adapts to all types of terrain. Ideal for the hectic pace and routines of everyday urban life as well as for long walks in the mountains breathing the purest air. Jané Kendo has a simple and compact folding system. Ready for your Jané moments. Easy accessible large capacity shopping basket can hold up to 4 kg. Comfortable and easy access footbrake. Includes coordinating pram bag with changing mattress, UV50+ extendable hood, raincover and shopping basket. 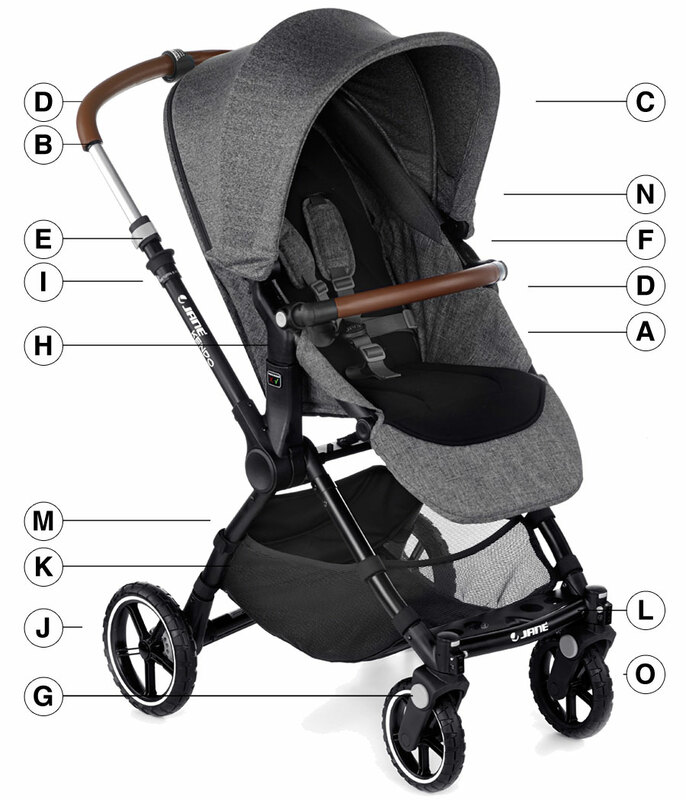 The Jané KENDO pushchair has the Pro-fix system built-in, and the following infant car seats and carrycots are compatible to convert the KENDO into a travel system or pram. the world’s safest, healthiest, convertible all-in-one lie-flat carrycot and car seat. Provides comfort and safety for your baby sitting up or lying down in the car, perfect for long journeys. Koos iSize, the iSize baby carrier with dual installation: isofix or seat belt.